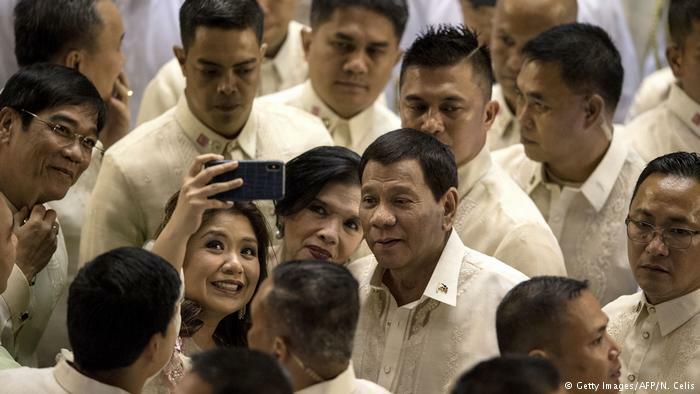 Philippine President Rodrigo Duterte poses for a selfie while surrounded by supporters and lawmakers after delivering his state of the nation address at Congress in Manila on July 23, 2018. You know there’s trouble when your Tinder feed seems more wholesome than the rhetoric coming from the Presidential Palace. At first, Tinder may have felt like the 21st century equivalent of being bopped on the head, slung over a man’s shoulder and dragged to his cave. But with online dating fast becoming the go-to “meet market”, Tinder now seems more of a virtual bar with a mix of creeps, average Joes, geeks and the occasional unicorn: the nice guy.